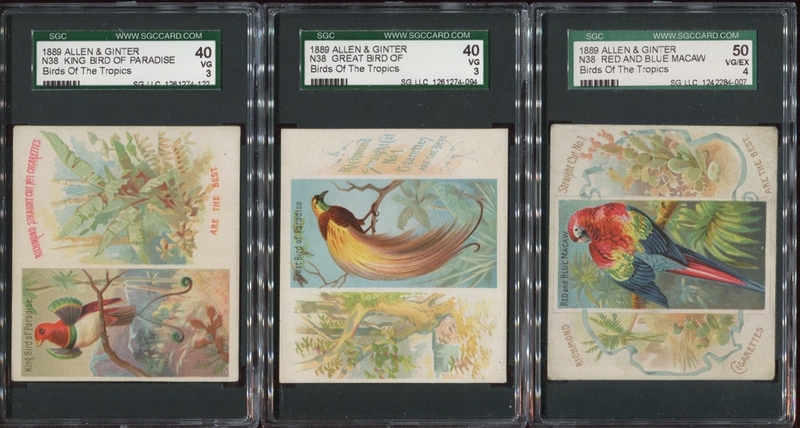 The N38 Allen & Ginter Birds of the Tropics set pictures (50) different birds found throughout the world in tropical settings. 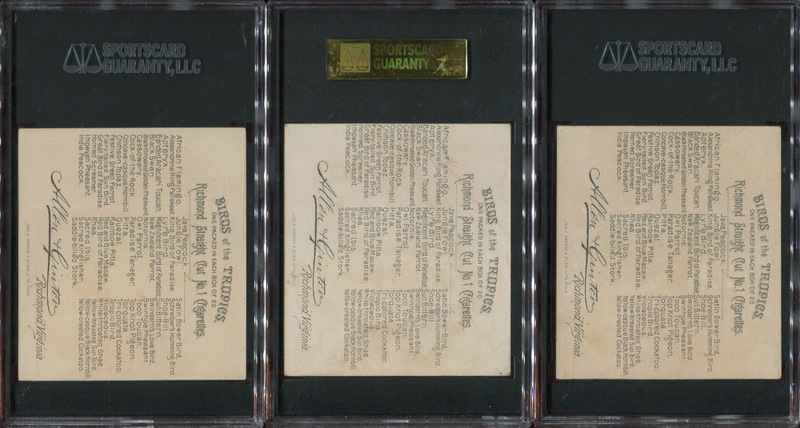 The set is the large format version of the smaller N5 Birds of the Topics set with some additional artwork and the cards were inserted into the larger boxes of Allen & Ginter cigarettes. 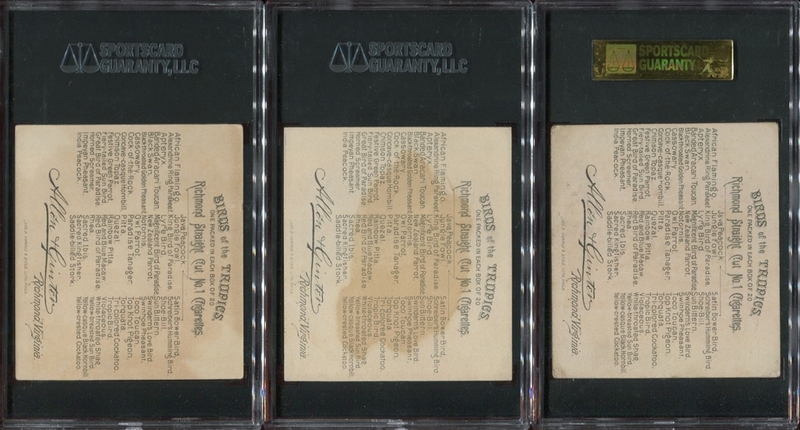 This lot of (6) cards are in collector grade and clean with just typically wear to the corners or a stain on the back. The backs have clean printing with no paper loss. The cards have all been graded by SGC. 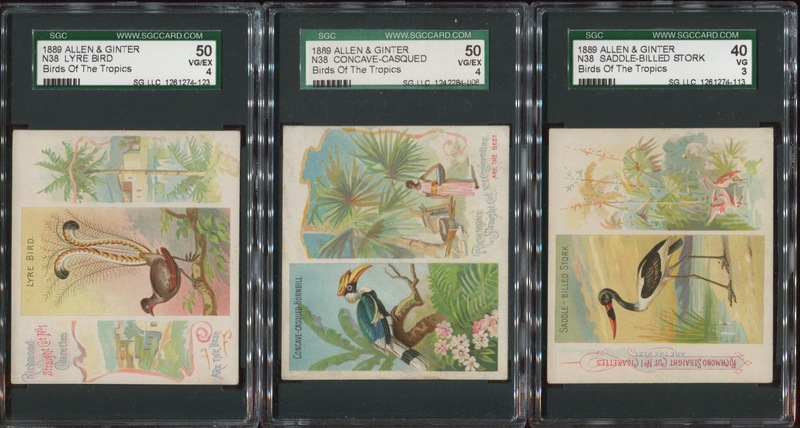 This lot contains the following cards: Concave-Casqued SGC50 VGEX, Great Bird of Paradise SGC40 VG, King Bird of Paradiise SGC40 VG, Lyre Bird SGC50 VGEX, Red and Blue Macaw SGC50 VGEX and Saddle-billed Stork SGC40 VG. The winner will have a great start to this set with this lot.